Century Theater is being sued by victims of 2012 shooting spree. DENVER — Nine months after the Colorado theater shooter was sentenced to life in prison, some victims are returning to the same courtroom in hopes of holding the suburban Denver movie theater accountable for not doing more to prevent his bloody rampage. The three-week trial will determine whether Century is liable. The families will argue Century knew the midnight blockbuster would attract at least 1,000 people and should have had guards patrolling the parking lot, where they might have seen Holmes suiting up in head-to-toe body armor in his car. 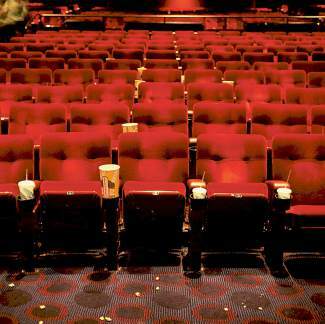 The lawsuit says theater employees failed to check doors, lacked closed-circuit television cameras that would have allowed them to spot trouble and did not intervene as victims lay injured and dying in the aisles. The three-week trial will determine whether Century is liable. Century says in court filings that it could not have foreseen the attack. Plaintiff’s attorney Marc Bern says the theater should have anticipated the possibility for violence and taken more precautions. The extent of the victims’ injuries could be front-and-center as jurors try to determine whether the theater is liable, said Denver attorney Scott Robinson, who has handled personal injury cases but is not involved in the case against Century. That the lawsuit made it to trial means the case has already overcome some major hurdles, he said. Despite the fact Colorado marijuana sales nearly hit the $1 billion mark in 2015, many communities in the state still struggle with how best to regulate the industry. The Daily Camera reports Boulder’s Marijuana Advisory Panel, which has been tasked with creating recommendations to address issues that make Boulder’s cannabis businesses less competitive, proposes code changes to allow both medical and recreational pot sales at the same location and to increase the number of licenses an individual can hold to six, while limiting sales to no more than three locations. Between now and June, the group also will tackle issues that marijuana advocates say hurt businesses the most, including requiring dispensaries to close at 7 p.m. while neighboring communities allow them to remain open until 10 p.m., banning most advertising and sponsorships by marijuana businesses and banning customer discount or loyalty programs. Longmont’s elected officials this week will begin discussions on whether to rescind the city’s ban on marijuana dispensaries, the Times-Call reports. Two marijuana dispensaries have located in unincorporated Boulder County areas surrounded by Longmont City limits. Mayor Dennis Coombs said he is leaning toward allowing retail marijuana on a limited basis. “It’s something we can’t stop so we might as well get on board. Plus, I’m an elected official and I believe we should do what the people want us to do and 58 percent (of Longmont voters) voted for (legalization of marijuana),” Coombs said. City council members in Rifle voted last week to continue the city’s ban on retail marijuana storesand directed staff to clean up city codes to limit the number of medical stores to five and cap cultivation facilities at four, the Post Independent reports. Council members discussed the issue after business and property owners asked the city to consider allowing retail stores and adding more cultivation facilities and other types of marijuana businesses such as manufacturing facilities. “I can’t support recreational marijuana in my community and I won’t,” said council member Ed Green.